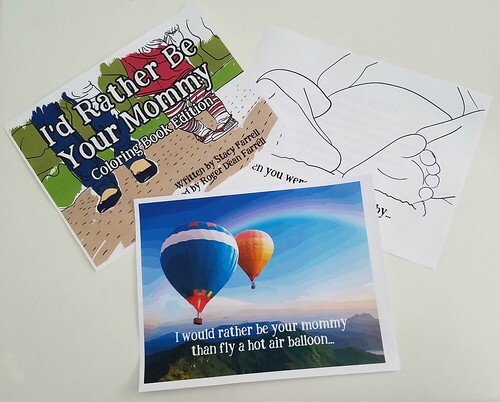 Home School Adventure Co. gave my family a digital copy of their book, I'd Rather Be Your Mommy. This is a cute book that upholds the value of your children in a mother's eye while combating some of the worldviews that are degenerating our parenthood. At first I downloaded the PDF on my phone, but my phone was too tiny to give the book justice. I decided to read the book to my children from my laptop instead. I would rather have the hardback edition because it was hard to get all the kids in a position to see the screen well, but the story is wonderful. 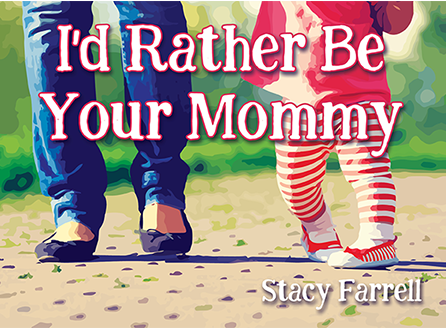 The book is about a mommy and how sometimes having a baby is hard work but there is nothing in the world this mommy would rather do. I even stopped the book and talked to the kids during certain points of the book because I wanted to emphasis what the book was saying. It spoke to me and bolstered the decision to have me stay home with the children. I enjoyed the artistic style of the book. They took photographs and did a cartoon-like edit to them. Overall, I give this book two thumbs up. It hits me in the feels with truth and beautiful illustrations. Along with the book, we were also given two other resources that pair with the book wonderfully. 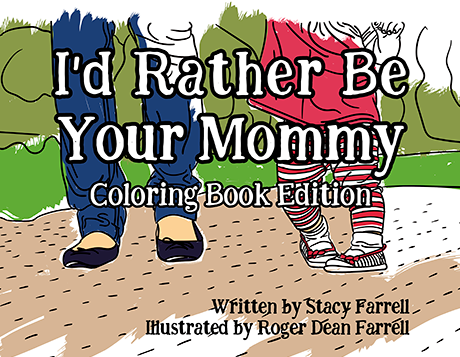 The Coloring Book is a great way to keep the message alive with the kids. It was a fun activity for them and I could also count it as art class. Double points! I was also sent a PDF of the Print Set. It is beautiful! I wasn't sure how they would print out, but I am happy to say that it was beautiful printed on a color laser printer. I wouldn't print out all the prints because it would eat up my toner but it is a great motivational poster to put up in a bedroom or school room. My nine-year-old son's thoughts: "I think the book is good. Definitely not aimed for me. The only problem I find with it is that they should have the option to print the pages without the words. I really liked some of the pictures and wanted to print it out as a poster without words. I liked to be able to print it out as a coloring page." 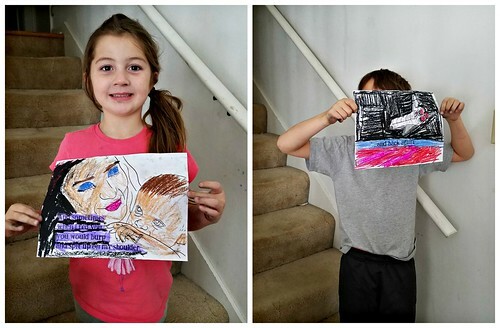 My six-year-old daughter's thoughts: "I think it is amazing! There are no problems at all. I really liked this because you get to color it, you get to read it, and all kinds of stuff with it. Not with the poster but I don't really need the poster. I just really like it!" My three-year-old didn't have opinions but did like the pictures and listened to the story as I read it to him. The bottom hot air balloon picture is a print out of the print set. The top right is a coloring book page. Home School Adventure Co. also had other products reviewed by other members of the crew. Please check out their reviews of Celebrating Manhood, Walking with the Waodani, and Creative Freewriting Adventure Set by clicking the banner below.